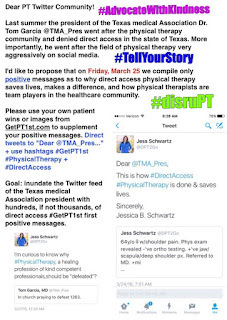 Please help us spread #GetPT1st and #DisruPT awareness! Let's advocate with kindness! 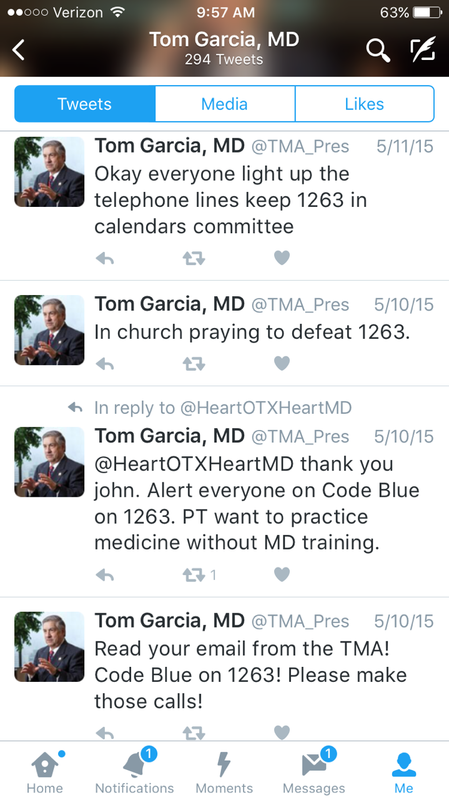 If you're on twitter, take 5 minutes and help us bombard Tom Garcia's twitter feed with great PT stories or use pictures from getpt1st.com and use the above hashtags! 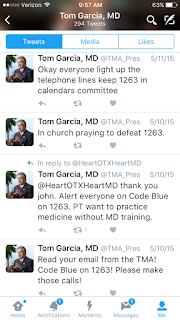 The big takeaway is that this advocacy has to be framed with kindness, and not negative comments, anger or aggression in support of our caring, empathetic profession! 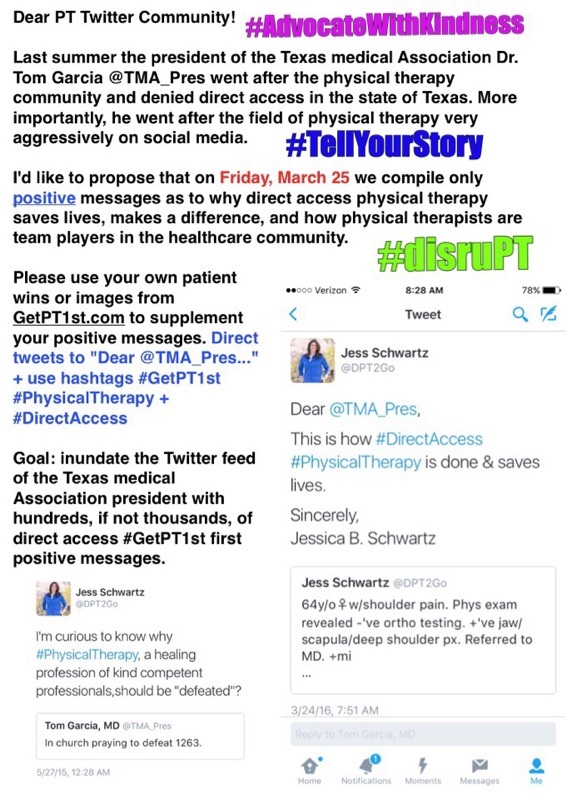 Special thanks to Jess Schwartz for starting this important campaign!